grandma's cookie jar: grandma's cookbook - Homemade Orange Lollipops! As I've mentioned before, my grandsons definitely are "fans" of lollipops; however; it can be very difficult to find some which are free of things like Red #40, so I've been making homemade lollipops for them. I wanted to find a new recipe to fix for them, so I looked on Pinterest and found a recipe for Homemade Pomegranate Lime Lollipops - since I do not have any pomegranate juice, I thought I'd use orange juice instead! I'm making a batch tomorrow and if they turn out they will be added to the gifts I'm giving my brother's families for Christmas . . . and will be waiting for my sweet grandsons to enjoy when they come to spend a couple nights at my house after Christmas! I love how easy this recipe looks and the thought of homemade orange lollipops leaves me looking forward to trying them, too! 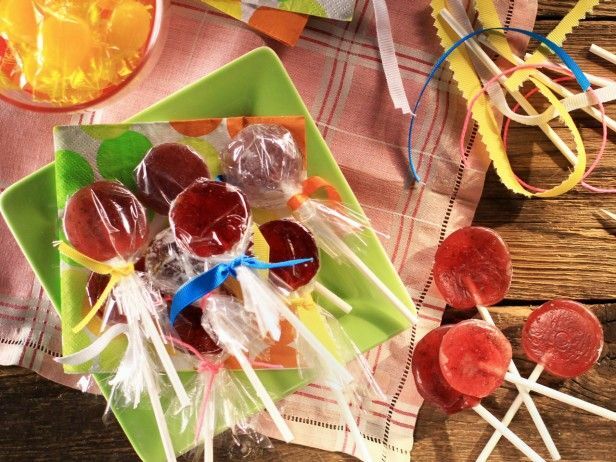 So, what juice do you think would be great in a homemade lollipop?